Rick Smith is the ONLY weather GOD – if you are in the know then you know. All hail the hail King! Don’t miss the weather clowns one bit since I left the state. This sissy slap fight has no point. Who cares? Has any one noticed as I have David has like 3 or 4 suits esp the checkered ones he wears every day !! the other guys have nice sponsored wardrobes But not david ……We know thanks to the shameless promos that ch 9 is local owned and the have the only duel pole radar and the new giant super-duper atomic powered chaser vehicle But for gods sake buy D ave some new clothes newsnine!!! 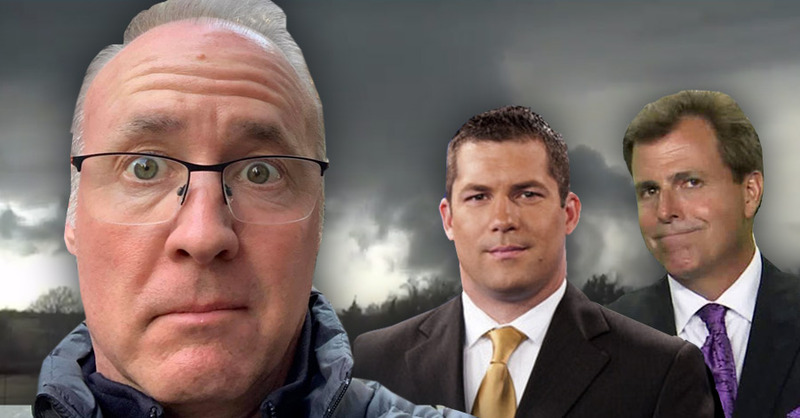 Gonna be really funny when the real first 2019 Oklahoma tornado gets covered by a meteorologist from some small market and none of these dudes get to swing their dicks around bragging about it. Can you add Reed Timmer to the tribunal? I think he is very knowledgeable and usually spot. Watching the weather all my life as well, I tend to lean towards less fanatical and more scientific information to base the weather on.